Even though summer doesn't start for another three weeks, it sure feels like it! 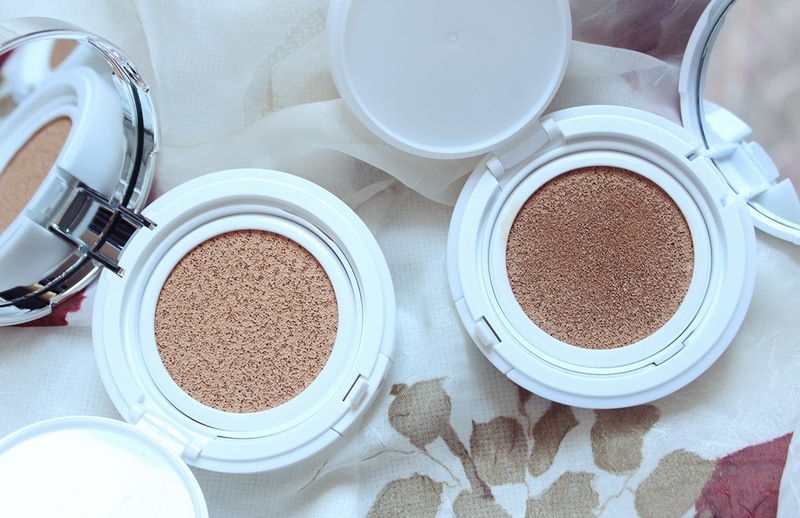 While I'm tempted to go out and buy a bunch of glowy bronzers, coral blushes and golden highlighters, I decided to be good and shop my stash for loved-but-neglected cheek products. 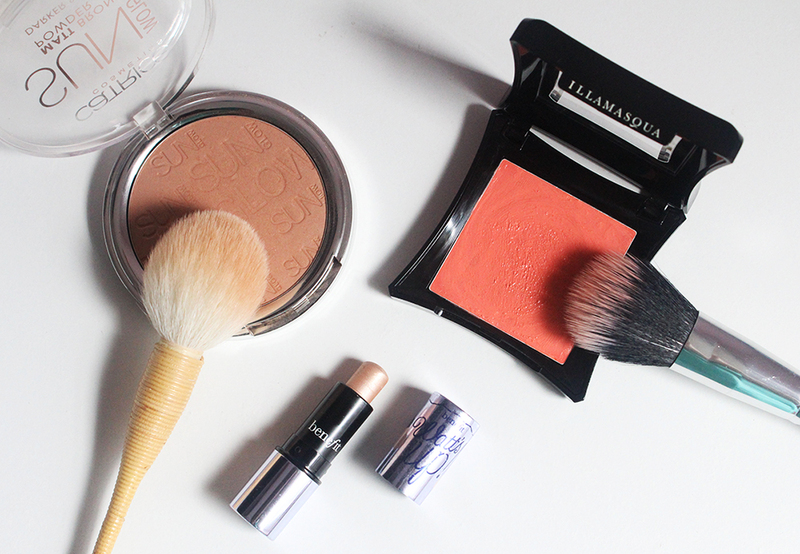 I emerged from my makeup collection with the Catrice Sun Glow Matt Bronzing Powder in 020 Deep Bronze, Illamasqua's Cream Blush in Rude and a teeny tiny Benefit Watt's Up Highlighter. I really enjoy all three products but don't use them nearly as much as I should. Looking back at my post history, I realized that I've had the Illamasqua blush for over four years! I've actually named it a favorite several times but you probably can't tell since a little goes such a long way so it looks like I haven't used it much. So far it doesn't smell weird and the formula hasn't separated so I'm hoping to get more use out of it this summer before it does go bad. I'm still quite heartbroken that Illamasqua isn't sold at Sephora anymore after all these years. The Catrice bronzer is a great budget buy that I picked up in Europe but now you can get it at Ulta for only $6.50. It looks rather warm in my swatch but of course I don't apply it as heavily on my face. 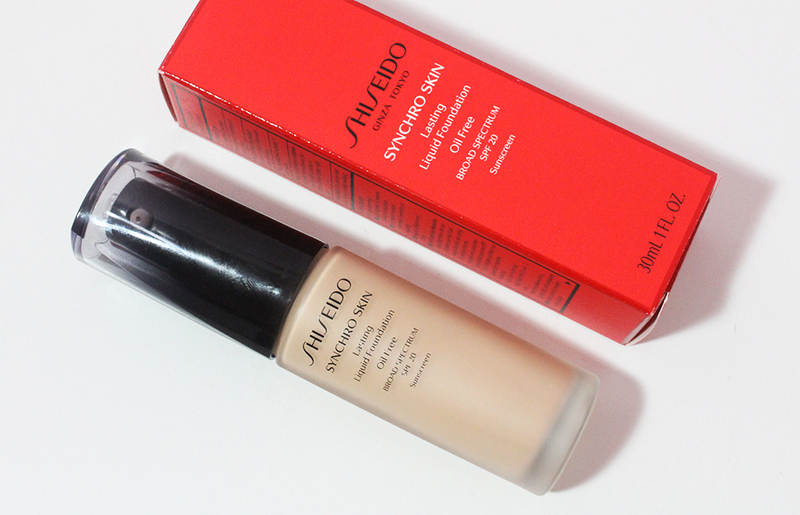 It warms up my complexion nicely while adding some depth under my cheekbones. For the cream blush I use a duo fiber brush and stipple off the excess product on the back of my hand to make sure I don't look too orange. 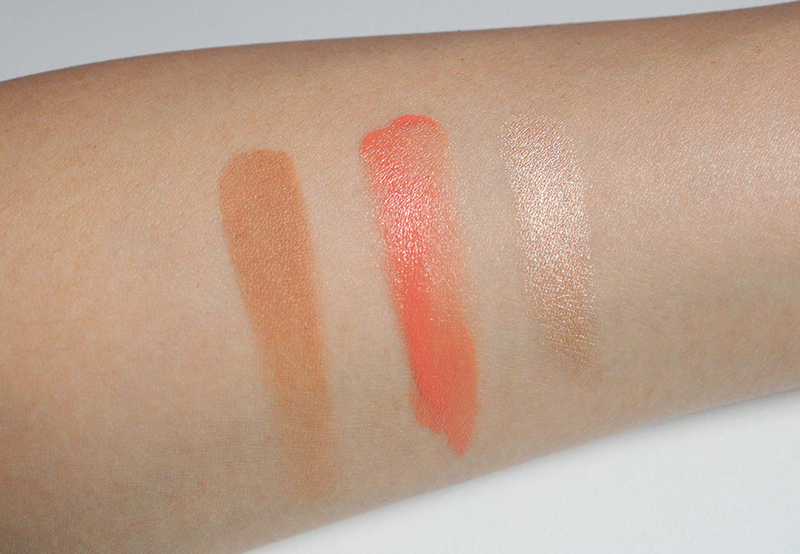 It blends super easily so it's easy to sheer out even if you accidentally apply too much. Sephora's birthday gift including Benefit Watt's Up was one of my favorites. This sample is the perfect size to swipe on the tops of the cheekbones for a noticeable yet natural glow. These shades are perfect for the warmer months and all of these products are great in their own right. It's like I've fallen in love with this trio all over again even though they've been in my collection this whole time. Ah, the joy of shopping your makeup stash! What's been on your vanity in terms of cheek products these days?